If your school has never brought students, or your school has been absent for 3 or more years, on our 49er Fun California living history field trips, then you qualify for an amazing new school offer. Simply tell us you want the “New School Special” when reserving your California living history field trip, and 12 of your students can come for Free. That’s a savings of over $1,000 on your one or two night 49er Fun trip with Rock-N-Water Christian Camps. 49er Fun is an Christ centered experiential field trip that immerses students into the middle of the California gold rush. 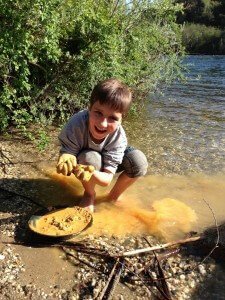 Students, parents, and teachers travel back in time to discover what life was like, and to experience the gold rush first hand. 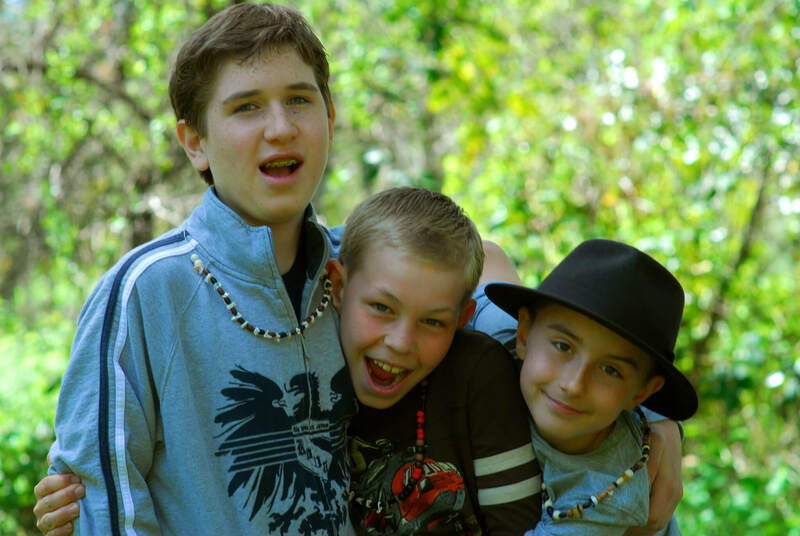 Our guides “pretend” that they are from the 1800’s, and share their personal stories as they teach your students about historical events, their Christian faith, and how to survive in the gold rush. 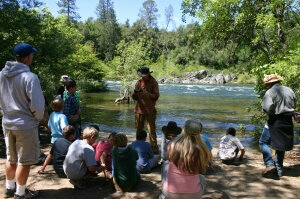 Students get plenty of hands on experiences including panning for gold right out of the South Fork of the American River, just downstream from the original claim site of Sutter’s Mill, make rope, learn about local plants, play games, pause for spiritual devotionals, and dance the evening away at a 49er campfire hoedown. All while learning that God is more valuable than gold. Our gold rush field trips are designed specifically for 4th grade students studying California history at private Christian schools. They also work great for combination classes including 3rd grade or 5th grade students. Students and parents will learn a lot about the California gold rush and what life was like back in the mid 1800’s. But our ultimate goal is that they leave with a deeper understanding of our savior Jesus Christ. That they are reminded that God is greater than gold no matter what year it is. 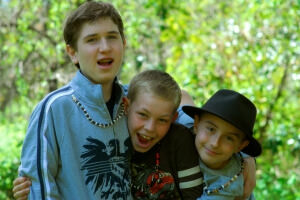 We have created three field trip formats to help you find the option that works best for you and your class. We also have a day trip option available, but it’s not eligible for the 12 free students: The Greenhorn (Regular $47/person) A super packed day-trip option for new schools not yet ready to jump right into an overnight program. 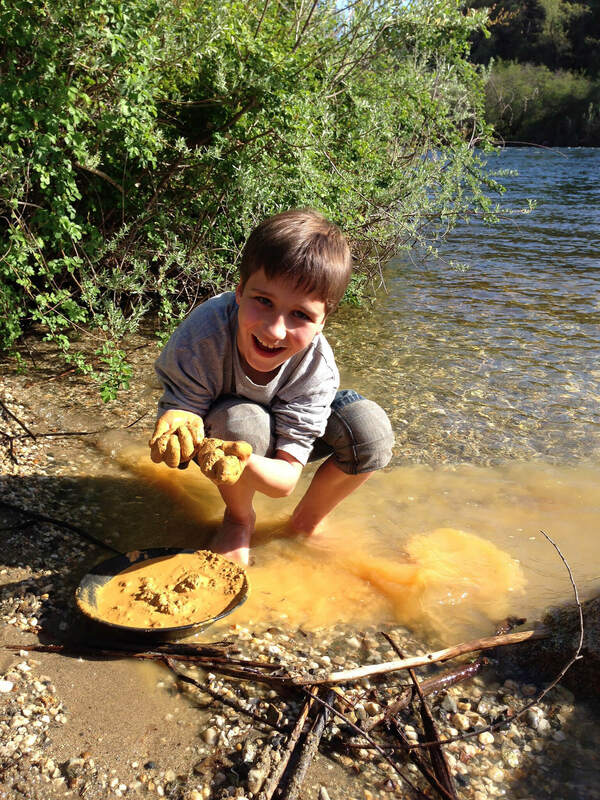 We have also partnered with some tour companies so that even Southern California schools are able to easily coordinate taking a trip up to Northern California to experience the Gold Rush through our 49er Fun program. Be sure to specify that your would like to include Rock-N-Water’s 49er Fun Program in your trip, and be aware that only the costs that Rock-N-Water charges the tour operator will be free for your 12 students. We’ll hold your space with no financial commitment until September 30th, or two weeks after you reserve your spot – whichever is later. If things fall through at any point before your deposit is due, you can cancel your trip with no financial obligation, and we’ll still love having had the opportunity to get to know you the little bit that we did. You can reserve your April or May 49er Fun living history field trip at any time of the year, but to ensure the best chance of your prefered dates being available, please contact us by April or May for the following school year. To take advantage of this limited time offer or to learn more, please give us a call (1-800-738-0555) or send us a message. We are looking forward to giving you, your students, and your parents a really great time! Teachers’ Recess – Teachers of all ages at Private Christian Schools in California are invited to join us this summer for a white water rafting adventure July 5–6, 2018 for just $50/teacher. Free Field Trip Preview – 4th Grade Teachers can get a first person, hands on perspective of what your 4th grade field trip will look like on one of our free preview days each Spring.